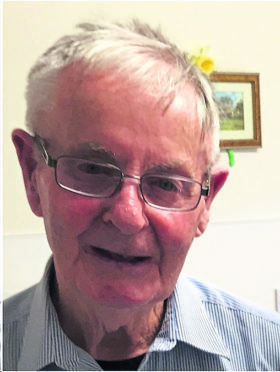 Canon Angus MacQueen died peacefully on Saturday at St Brendan’s care home in Castlebay where he was resident in recent years. He was born and raised in the close-knit community of Balgarva in Iochdar, South Uist, in 1923. The priest attended Blair’s College on the outskirts of Aberdeen and theological colleges in Glasgow and Hertfordshire. He was ordained in 1951 and ministered in numerous places including Dunoon, Mallaig, Eriskay, Castlebay, Glencoe, Rothesay and South Uist. However, the majority of his priesthood was spent on Barra where, instead of retiring when he came to the age, he continued ministering. Latterly, he was parish priest at St Barrs in the north of the island, regularly taking weekly Gaelic Mass at Eoligarry and Northbay until recent years. He also went on numerous pilgrimages to Lourdes. Canon MacQueen was a great supporter of island tradition, culture and Gaelic language and was often a contributor to Gaelic radio programmes on these subjects. In 2015, BBC Radio nan Gàidheal transmitted a four part series of programmes about his life and work. He had a habit of rising very early in the morning and grew his own vegetables, fruit and flowers, adapting the traditional raised lazybed system to grow his favourite potatoes. Messages of condolences flooded in on social media at the weekend. He added: “A true man of God and of the people. Anna McCrae wrote: “So sad this news. Canon Angus shared his joy in life and faith with all who met him. What a keeper of our traditions and stories. And Mairi Mackenzie highlighted: that he was a “wonderful priest and man”. Cannon MacQueen will be buried in Ardivachar Cemetery, South Uist on Thursday, following a Requiem Mass in St Michael’s Church.